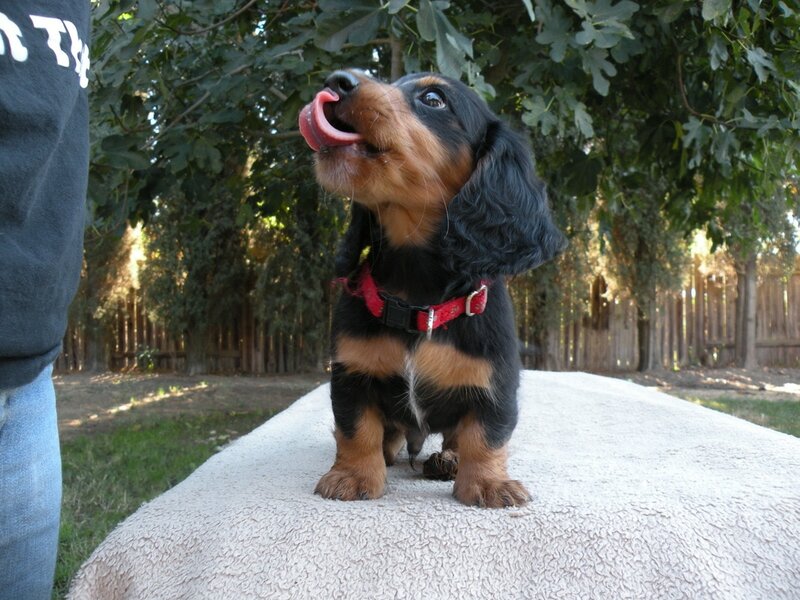 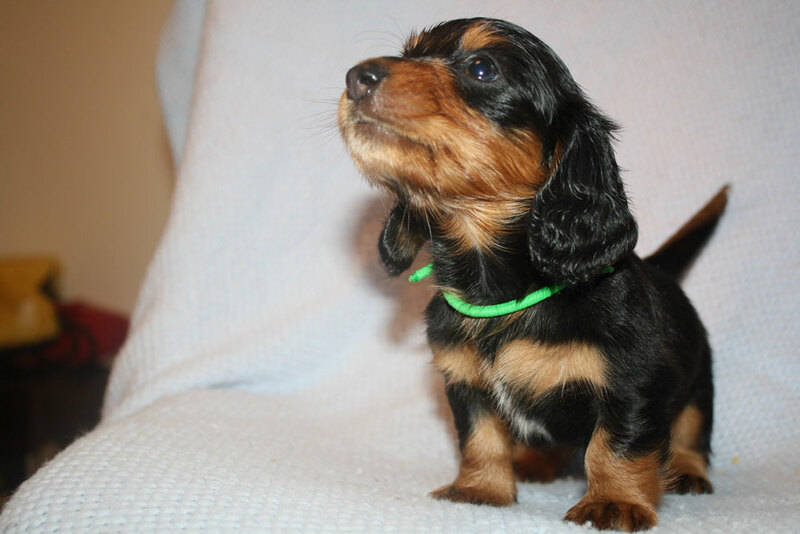 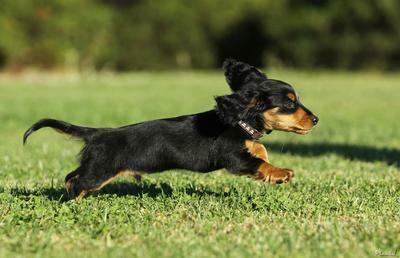 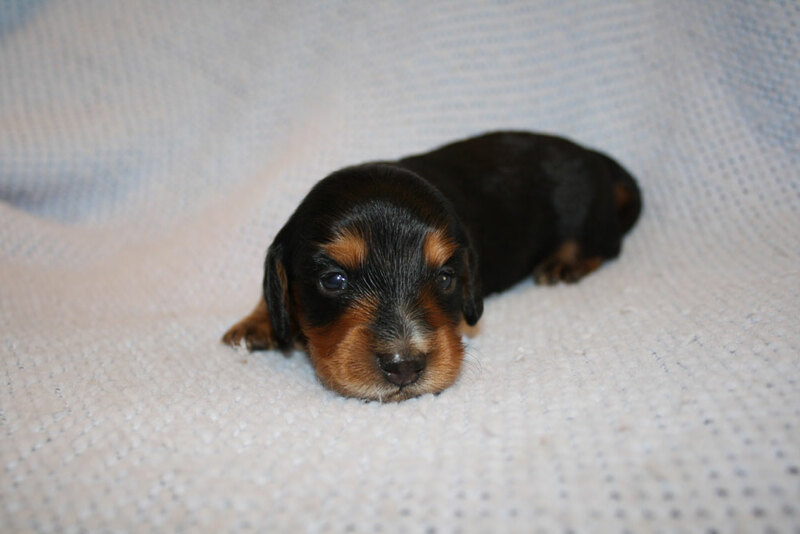 Blackfoot is my keeper puppy from my first litter of Dachshunds out of Leeroy and Coco. 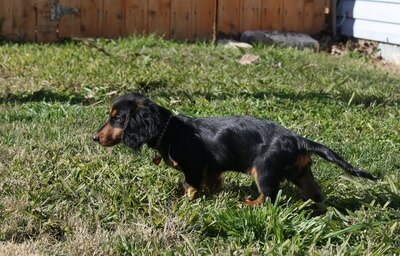 There were six puppies in the litter; Blackfoot was the last one born and also the largest at birth. 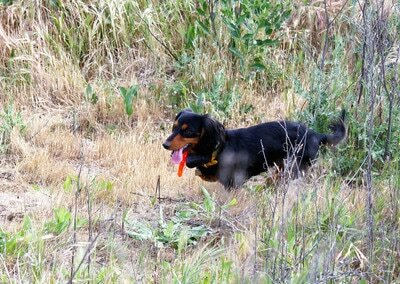 When he was an infant he had a tiny sliver of white on his muzzle, which is invisible now, and it reminded me of the markings on a Greyhound I once knew who was named Blackfoot. 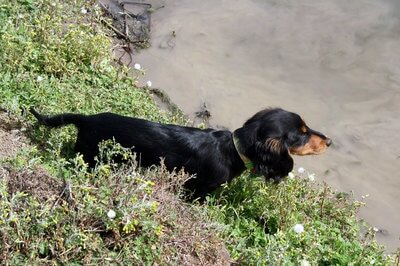 So from that point on, Blackfoot was called Blackfoot and the name stuck. As a first-time breeder, Blackfoot has made me very proud. 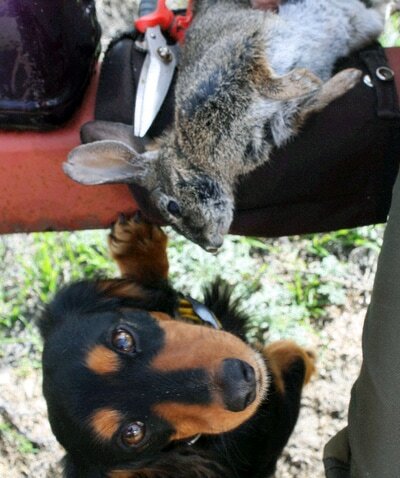 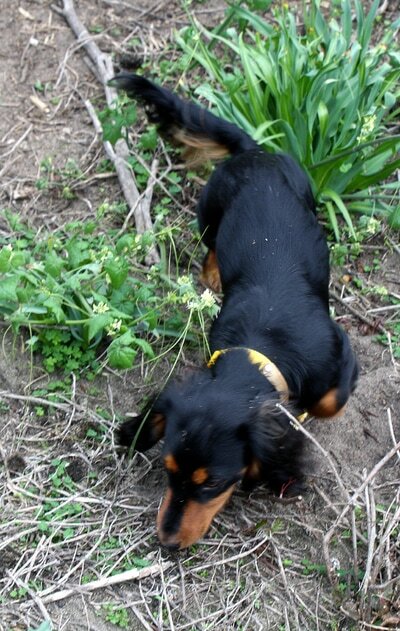 Once he matured (which took longer than I expected), Blackfoot turned into a wonderful little rabbit dog and racer. 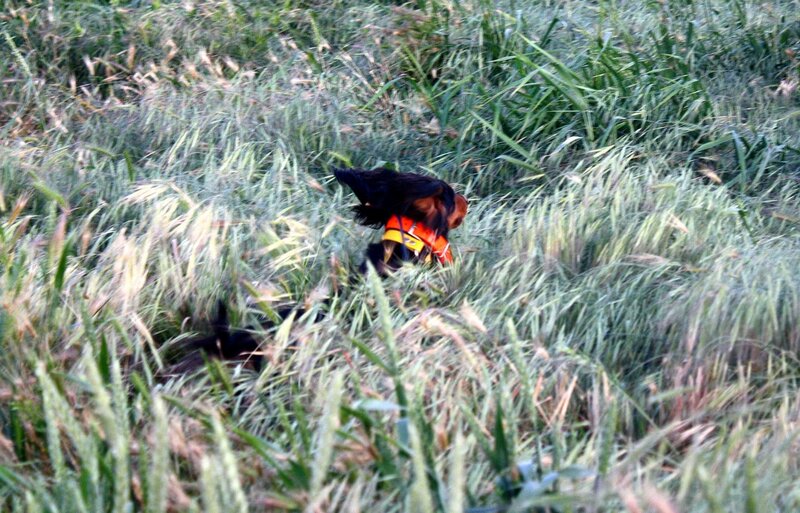 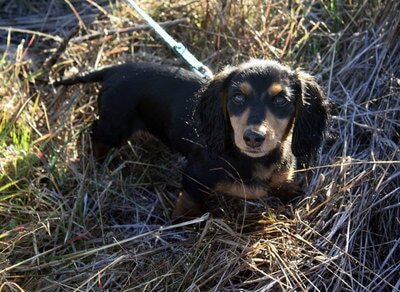 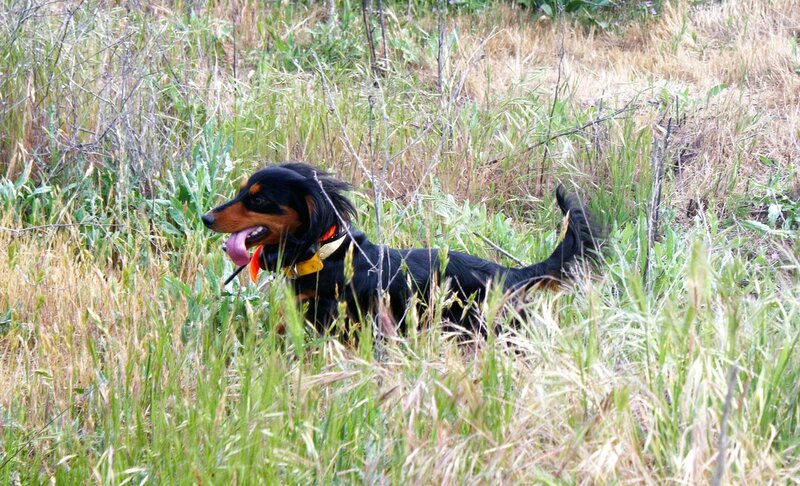 His first season field trialing he earned a 4th place and Award of Merit from the Open All Age Dog stake at the Dachshund Club of America National Field Trial. 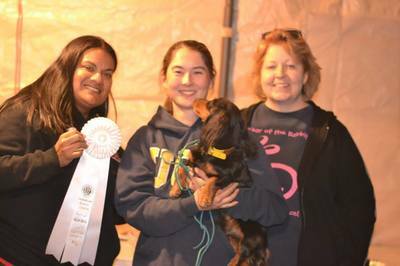 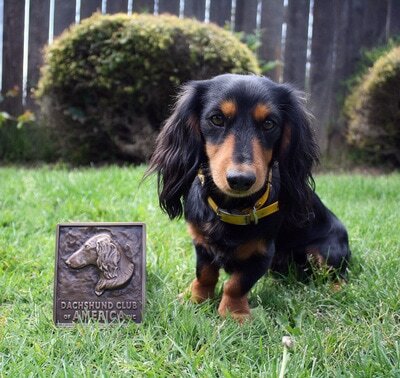 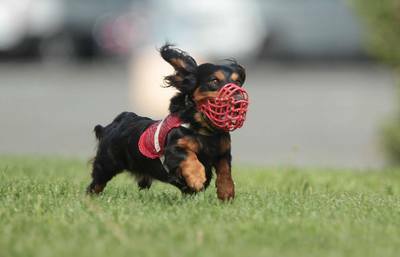 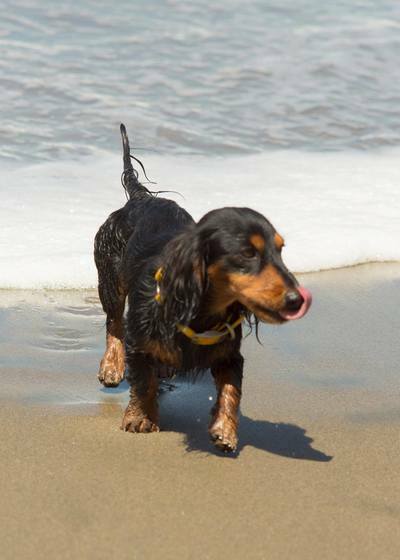 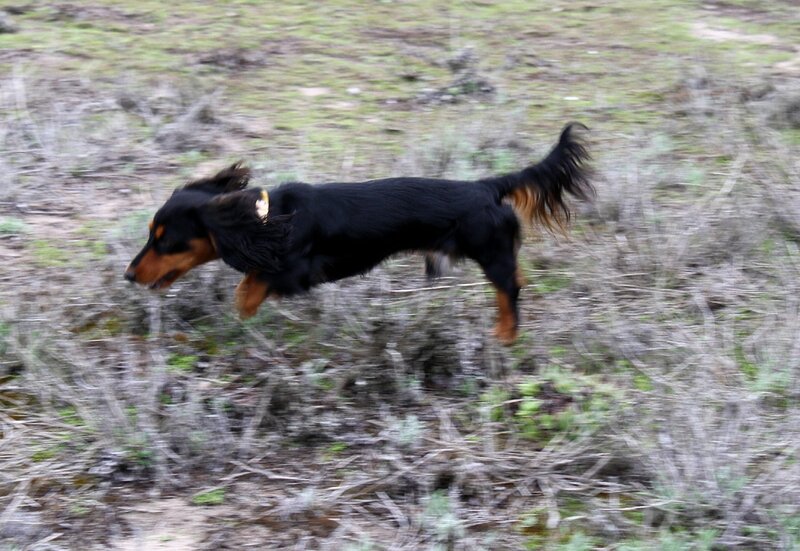 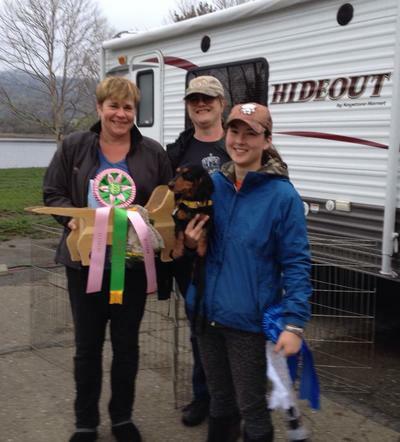 He followed those wins with a 1st place in the Open All Age Dog stake and an Absolute at the Northern California Dachshund Club's spring trials, putting him within just a handful of points required to become a Field Champion. He ended up finishing his Field Championship in December 2014 at the age of 2 years. One of his most memorable field trial accomplishments is when he finished as second runner up in the Inaugural West Coast Field Trial Invitational held in Winlock, Washington. 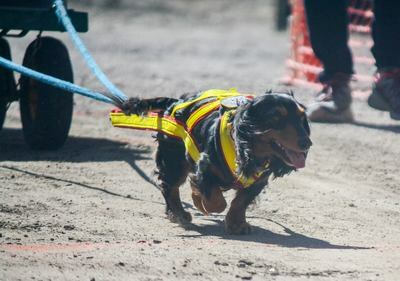 Several California dogs were in attendance that day, but only Blackfoot made it to the final few rounds of the competition. 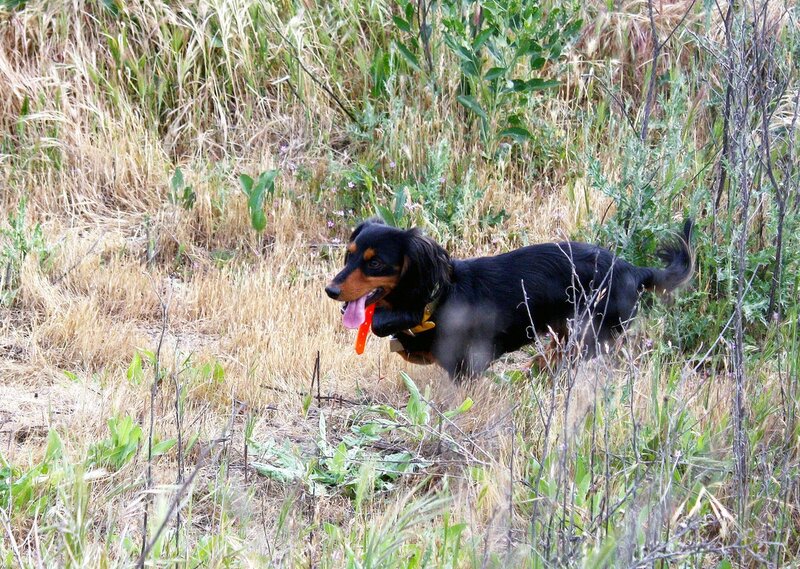 Blackfoot also loves racing and lure coursing. 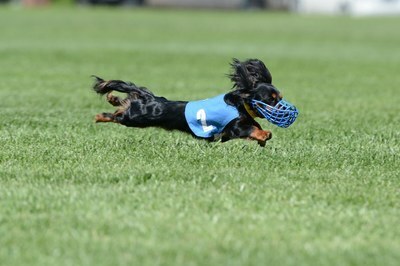 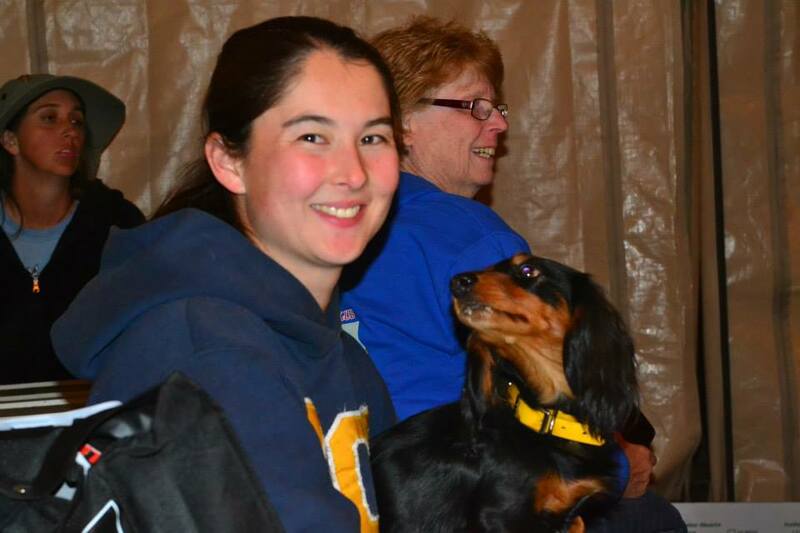 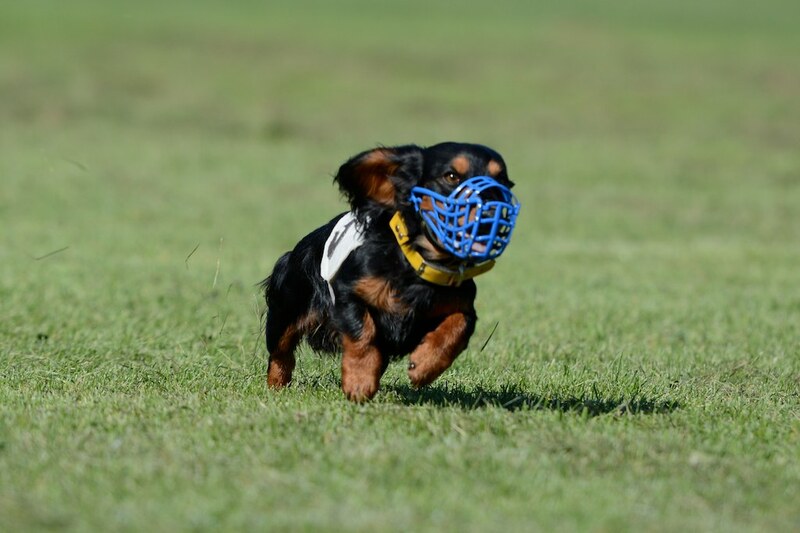 He was the first Dachshund to earn a Breed Racing Championship and a Supreme Breed Racing Championship through the RACE AOK9 Program, and was #1 ranked among all breeds in the AOK9 Sprint Racing Program for the year 2016. 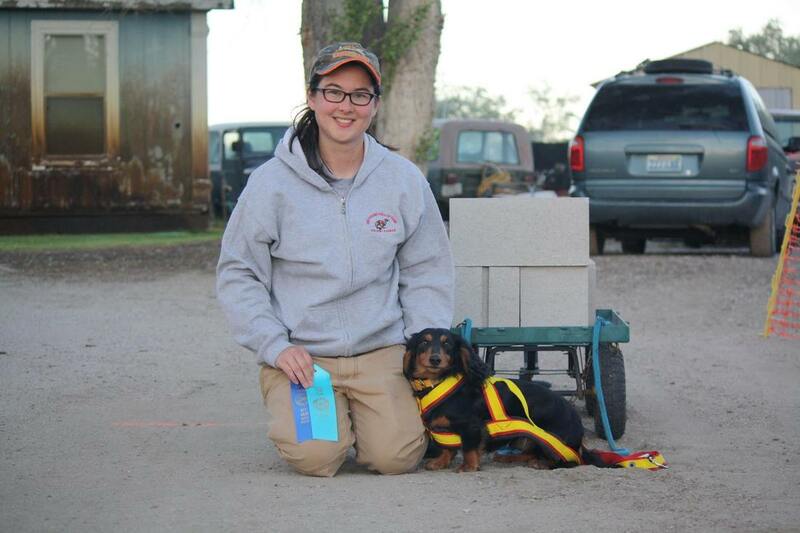 He has also recently taken up the sport of weight pulling, and has already earned placements in every pull he has attended. 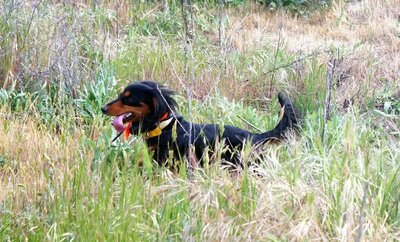 As a companion, Blackfoot comes pretty close to perfect. He loves people, including children, and has never met a stranger. 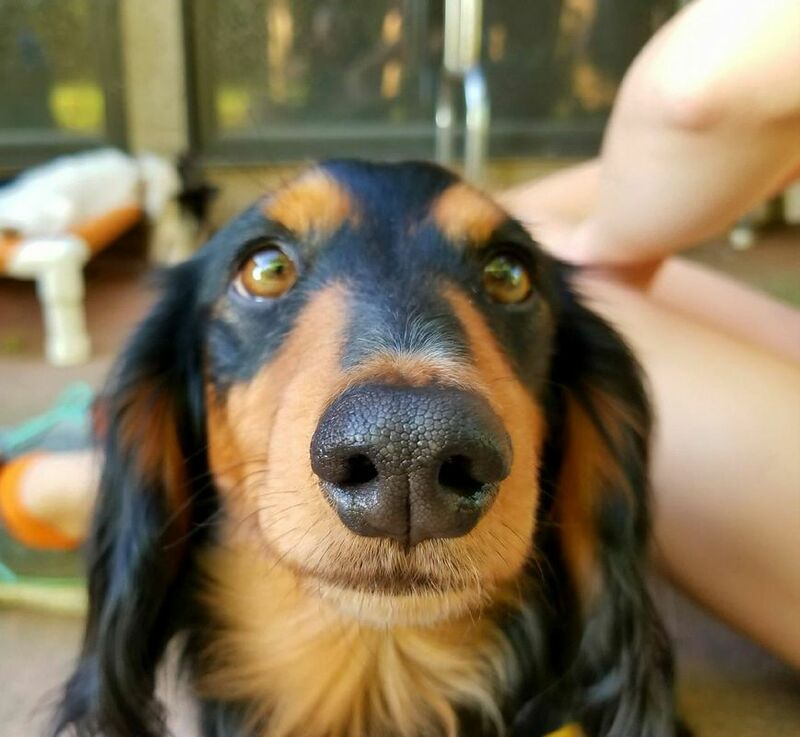 He loves nothing more than to lay on my lap and to give/receive kisses. 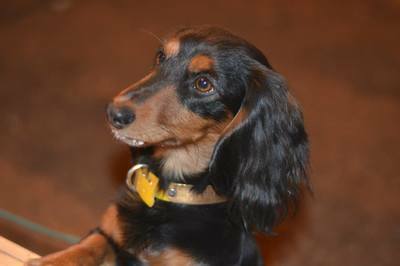 Like the good Dachshund that he is, he is extremely devoted to me, and I am very lucky and proud to call myself his breeder and owner.